America’s beverage companies take seriously their sustainability goals. Just this summer, PepsiCo and the Recycling Partnership announced a new initiative to significantly increase the amount of plastic containers recycled from curbside collections. PepsiCo has pledged $10 million over a five-year period to support the new “All In On Recycling” challenge, which aims to attract $100 million for curbside recycling programs. But recycling shouldn’t just take place at home; it should be accessible everywhere we go! That’s why Keurig Dr Pepper teamed up with Keep America Beautiful (KAB) as a part of KAB’s Park Recycling Bin Grant Program, funding 34 grants. That equals 936 new recycling bins in public parks across the country, making recycling more accessible for Americans enjoying the outdoors. Not only are we helping to make it easier than ever to recycle our containers, we’re also implementing even more sustainability practices into our business models. Earlier this year, The Coca-Cola Company announced that it is pursuing an ambitious new goal, which is part of a holistic plan called “World Without Waste.” Coca-Cola’s goal is an industry-first - to collect and recycle the equivalent of every bottle or can it sells globally by 2030. Recycling is more than a core element in America’s beverage companies’ history of innovation. It’s something we’ll never stop working to improve. 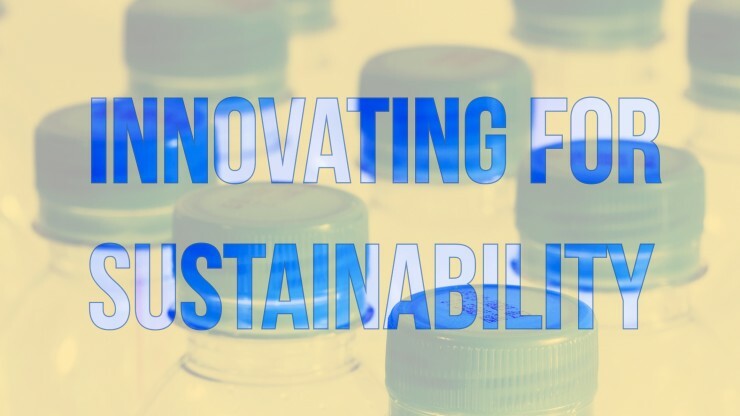 Click here to read more about how America’s beverage companies are Innovating, Naturally.